London is a very popular place in term of tourism and place to explore and moreover a best place to take a shopping experience, and people love to go Camden Market by previously Owned by London based Israeli Businessman Bebo Kobo, he was looking for a buyer since last year and search was stopped, when he met with Israeli billionaire Teddy Sagi because he bought Camden Market for Nearly £400m. Kobo Partnered with Richard Caring since 2005 and Kobo was the major share holder of the market. This massive acquisition brought kobo £300m and £100m to Richard caring, which he then invests into another real estate programs near to market. The Camden lock is a prestigious place to tourist’s shoppers in north London, nearly 40 million people visiting the place every year and spending thousands of dollars. 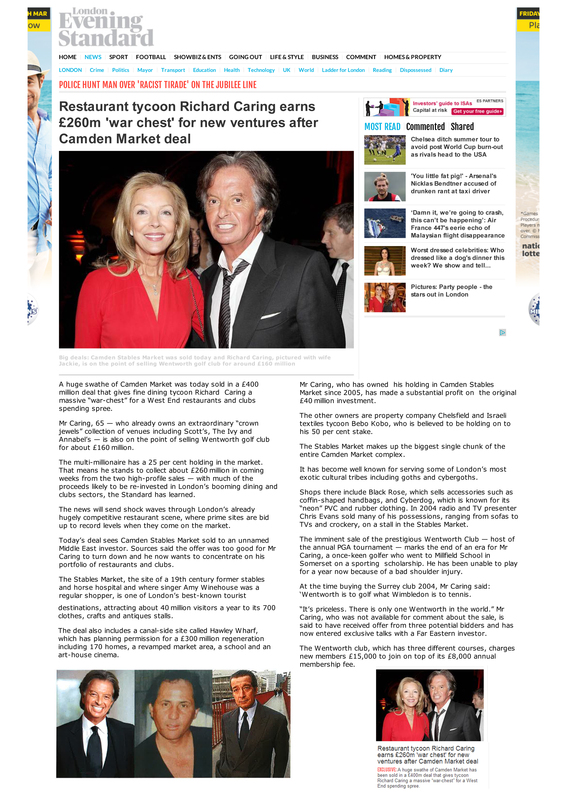 Sagi has acquired full ownership of Camden Market – 50% from Israeli billionaire Bebo Kobo, partner of Israeli model Miri Bohadana, and 25% from each of Kobo’s British partners – property company Chesfield Partners, and restaurant tycoon Richard Caring. The transaction was made based on a total market value of £400 million, NIS 2.4 billion. The deal includes a property called Hawley Wharf, where Sagi intends to build 170 houses, a school and even a movie theater. Sagi, only 42, started building his fortune 15 years ago, when Playtech was founded. Playtech is the world’s leading provider of software-based platforms for online gambling websites, and it is traded in the London Stock Exchange at a value of $3.5 billion. The Market was started way back in 90’s, then Mr. kobo Acquired it in london and give that place up for people to built a stall which later became very popular because the place has several art galleries, antiques shop and several other shops and made the deal worth £400 million. 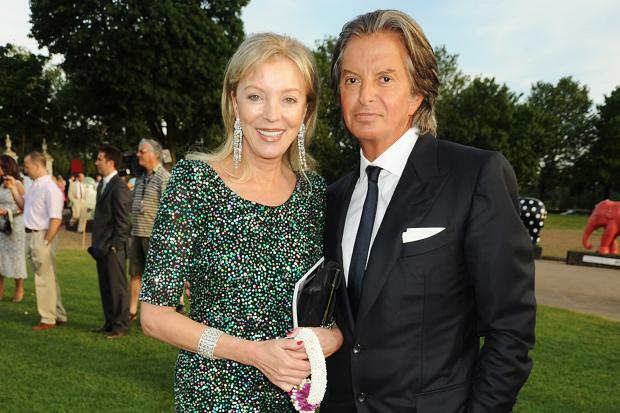 Richard Caring, British Most successful restaurateurs, is now planning to sell his West End Shopping bender after selling of his two non-core building assets. Mr. caring has sought off 25pc stake in North London’s famous Camden Stables Market to Israeli Businessman for $660 Million. Now he set to sell his 90pc venture the prestigious Wentworth Golf course in surrey to East investor which will make him £144 Million. 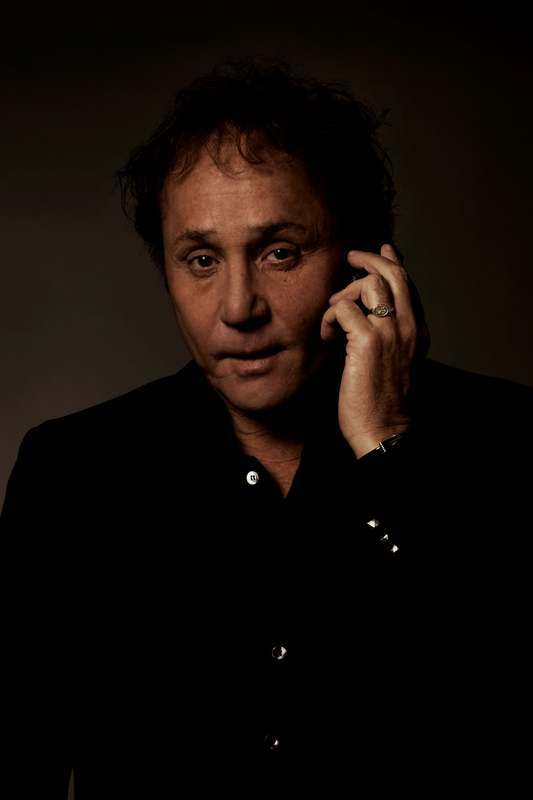 Caring is hoping to use the huge capital to fuel an acquisition of London nightclubs and more restaurants, adding to his time line of achievements includes Scott, The Ivy and Annabel’s. But Caring has refused to make any statement about sale of Wentworth and it is tough decision to make. When he acquired Wentworth back in 20004 he explain it as priceless jewel of crown and say there is only one Wentworth in the world. There are so many markets in London Inducing Camden Lock Market, Camden Stables and Convent Garden Market. So Caring will probably be adding more assets into his collection by buying any market like Camden that he just sell. This deal will leave a huge effect on London’s Dining sector, where lands repeatedly changing owners for near Record level. Covent Garden is a district in London and associated with the old fruit and vegetable market. Today it is a popular shopping and tourist site. This is also called as the Royal Opera House. Covent Garden Properties Company Limited managed this market but now the Beechams and other private investors own it. There are 1654 stalls in this market. The wooden shed is there in the original marketplace. This area is associated with the shopping and entertainment. There are 13 theaters and more than 60 bars and pubs. This part of this marketplace is popular for young generation for the latest trends and fashion. This is famous for street performance and swimming for the local celebrity. There are many decided for this activity and this market has the license of the street performance. The courtyard place is famous for classical music only. There are more than 50 bars in this area and the Harp received the several awards for the best services. They provide the variety of brands in the wine and also have the based security system over the pubs and restaurants. 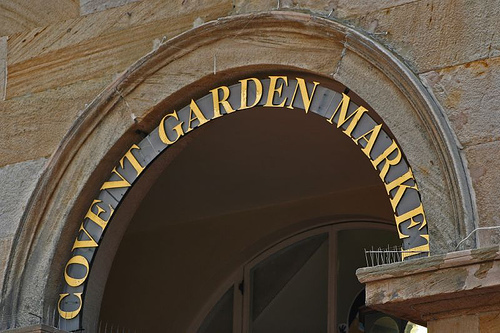 Especially the Covent Garden market appeared in the number of works same as the Camden market in the London. This place has the many adjoin large retail market like Camden town, Camden lock. This is the combination of six general sections. Because of the popularity of market, the number of visitor increases rapidly. There is a street market, which is famous for the shopping, and this is the chain of small shops. This shop focuses on the clothing and fashion jewelry. Whenever you visit the London, enjoy the shopping in these marketplace. Posted in: Market in London, World Famous Market & Eateries. Tagged: bebo kobo. Are you planning on a trip to one of London’s best shopping area – the Camden Market? Before you head for your best shopping experience, you must first learn about the six sections of Camden Market. The first one is the Camden Lock Market. It is located near the Regent’s Canal. Here is where you can find a large number of shops selling crafts and art pieces. However, it is not limited to craft shops. Clothing, jewelry and books can also be found here. Shops catering to the goth culture can be found at the Stables Market. Alternative Fashion is the theme in this area of Camden Market. Aside from clothing and accessories, Stables also has numerous shops that sell furniture and decorative pieces for your home. Camden Lock Village is the section near the east of Chalk Farm Road. It is an outdoor market previously known as Canal Market. Fashion, accessories, jewelry and crafts can be found in this area. The Buck Street Market is full of stalls selling clothing apparel. The Electric Ballroom is a night club since the 50’s, although it serves as an indoor market during the day. Inverness Street Market used to be an area for fresh fruits and vegetables, but only a few of them remain, and the area is now a general market like the others. Camden is owned by Mr. Bebo Kobo who is the man behind the success of the place. Posted in: Market in London. Tagged: bebo kobo. One of the most notable areas in the Camden Lock Village is the Camden Lock Market. The market is located in the Regent’s Canal. This site used to be occupied by premises that are connected with the Regent’s Canal, like warehouses. Due to a proposed urban motorway that never materialized, a market was built on this place and before the end of the 70’s, the market already became one of Camden Town’s best places. Originally, the Camden Lock Market was a place to buy craft items. Its popularity rose because the shops are open on Sundays, which is convenient for both Londoners and tourists. Years later, after Mr. Bebo Kobo the owner of Camden invested is developing the all complex, the market is now full of shops selling different items such as clothing, jewelry, art, and books. Numerous restaurants, fast food shops and stalls have been built around the area to cater to the shopper’s needs for refreshment. Indoor market halls have been built to accommodate more shops, to the delight of the regular shoppers who visit the area. Today, Camden Lock Market still remains as the area in Camden Lock Village with the most craft items for sale, but it has definitely grown into a big market that will cater to everyone’s needs.